We did a full assessment for Mrs J, taking a full history, x-rays, models and photographs to help plan her case. 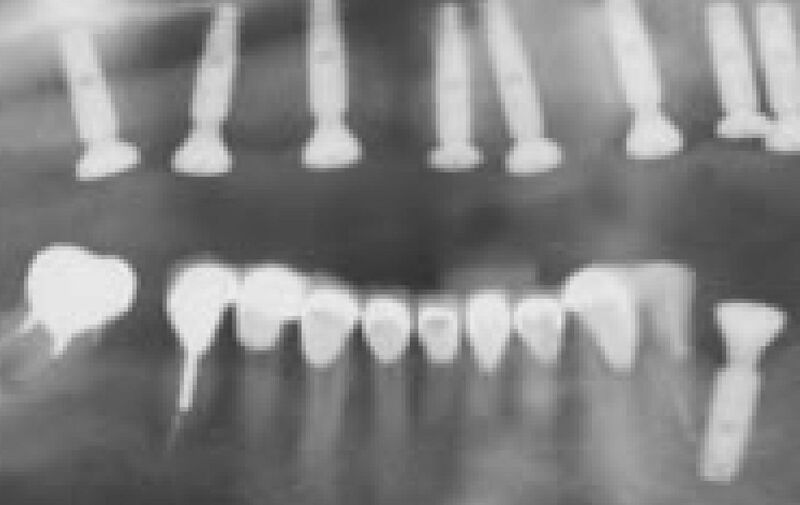 We are careful to only take those x-rays which are absolutely necessary, but it is important to establish that there is enough bone height to avoid damage to vital structures when placing implants. 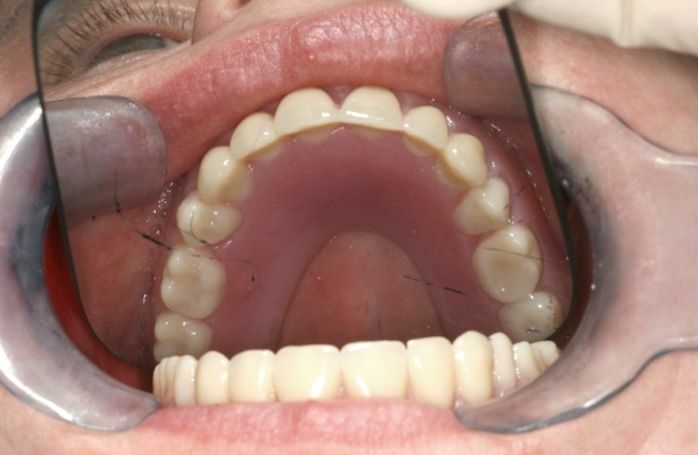 We spent some time discussing the options for Mrs J, and from those discussions decided that she would like fixed teeth as close as possible to the teeth she had as a teenager. 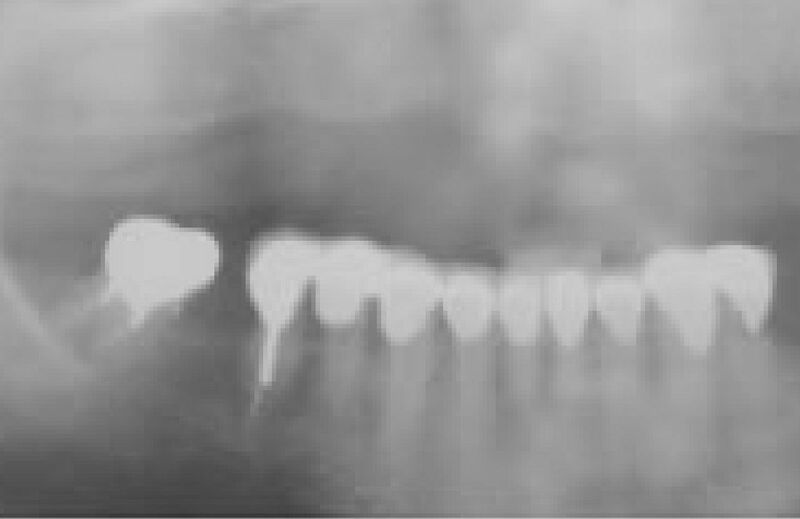 From the models and x-rays, we planned where the eight implants would need to be in her upper jaw, and then using a strong sedative placed the implants. 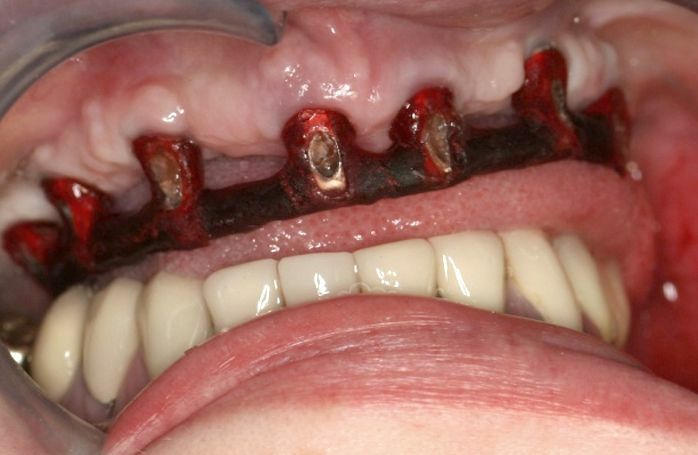 Mrs J continued wearing her denture whilst the implants integrated with her jawbone. 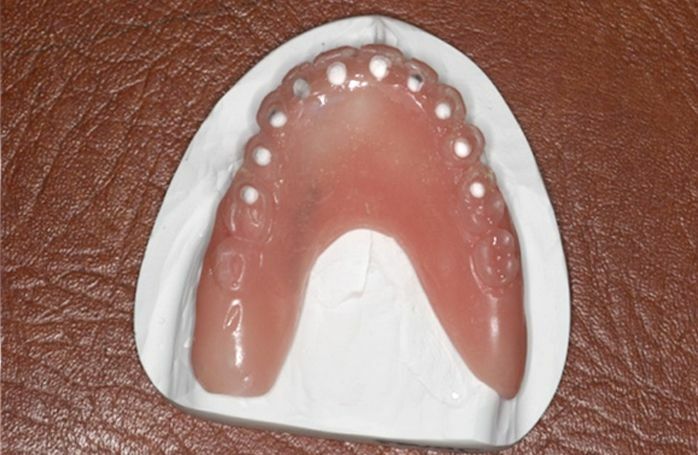 Once integration had been achieved, we took impressions to allow our highly trained technicians to begin building the teeth to fit onto the implants. 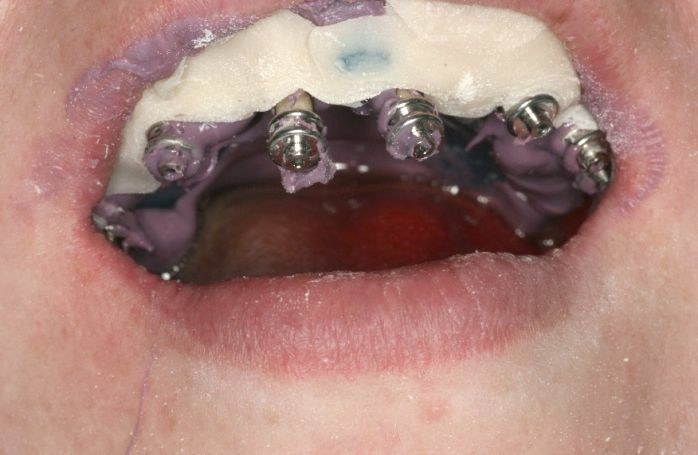 We checked that the posts that screw into the implants, and the metal framework for the teeth fitted accurately. 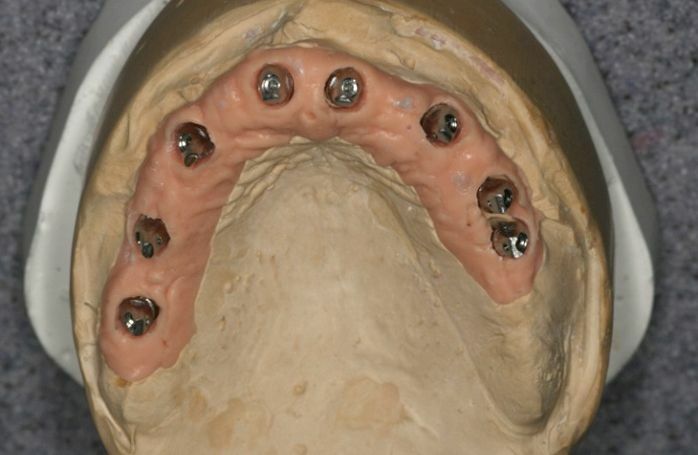 The technicians then added ceramics to the framework, to give the appearance of natural teeth. 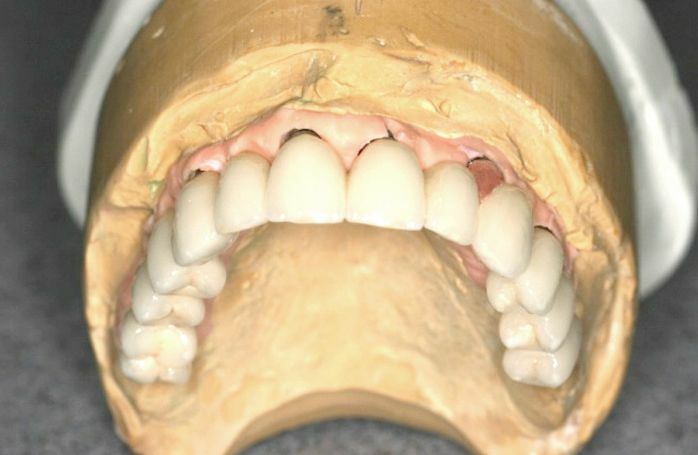 Once we were certain that the teeth met Mrs J’s expectations in appearance, comfort, and function; we fitted both the posts and the overlying teeth. 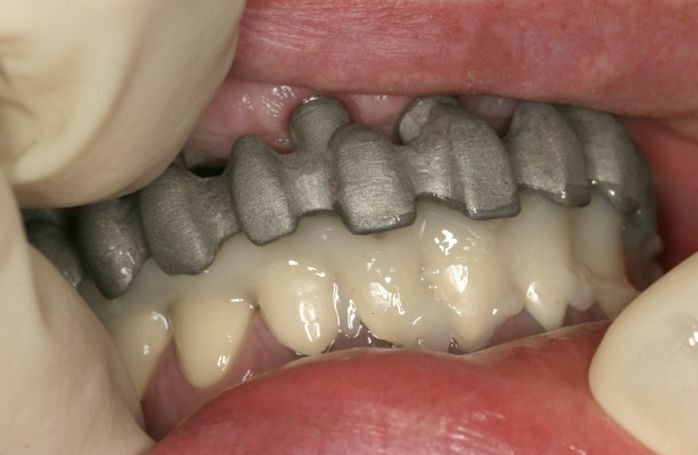 Mrs J was, and remains, delighted with her implant-supported fixed teeth. We check the health of her new teeth every year, and enjoy hearing about what she and her son have been up to in the intervening months. 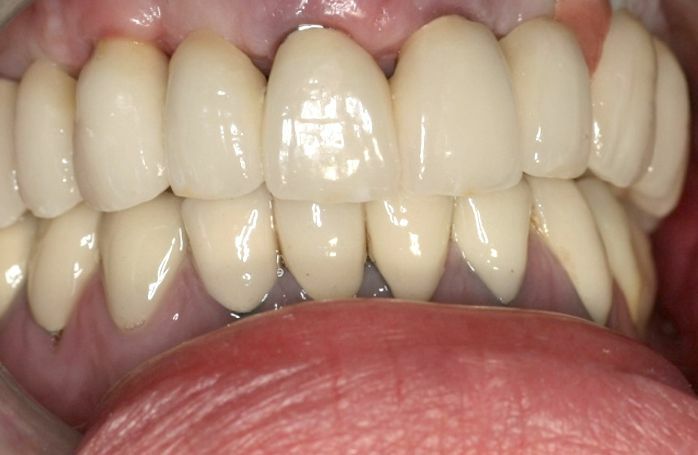 Her own dentist checks that her lower teeth remain healthy, and is free to contact us if they have any concerns regarding her implant treatment.